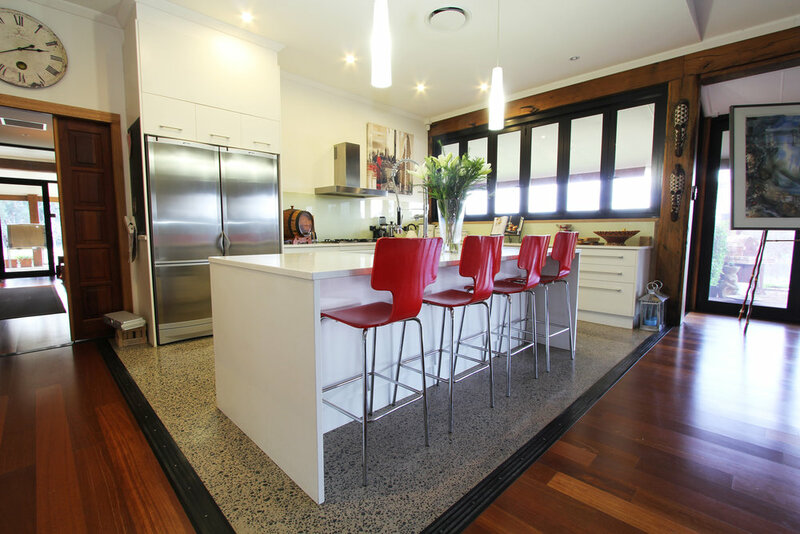 Kitchen Creations is one of the Central West leading custom kitchen and joinery manufacturers. 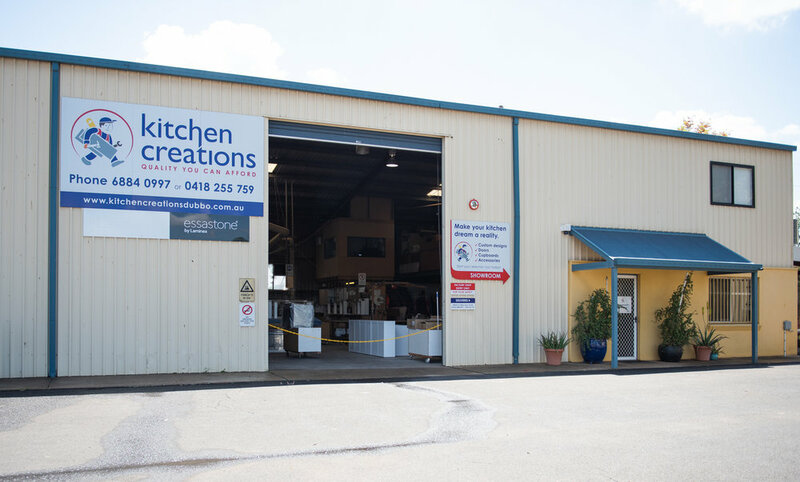 Kitchen Creations is located in Dubbo, NSW 2830 and services residential and commercial clients across NSW & the Central West. All joinery work is custom made on the premises and installed by our own team of professional and qualified joiners to ensure the highest level of workmanship and attention to detail, allowing us to have complete control over each project from start to finish. We are passionate about design, innovation and technology when it comes to our work. We stay up-to-date with industry trends and fashions, so that we can offer you forward thinking advice on designs and products. We only use quality products and understand that sometimes affordability is your number one concern, so we have a great range of very affordable options available to you. We employ the latest in design and manufacturing technology, from 3D design software used in the consultation process to fully automated CNC routing machines allowing precision cutting of materials. Utilising a wide range of suppliers including Laminex, Blum, Bradley and Wilson, Tesrol, Caesarstone, and Hettich allows us to offer an expansive selection of materials, surface finishes and hardware we can ensure that whatever you desire, we can create it. We create fully-customised designer kitchens to fit with your lifestyle, priorities and budget. We specialising in residential and commercial kitchens, we have become the one stop solution for a variety of clients looking for out of the box thinking and design savy installers. Whether you're extending your kitchen or looking to design a new one from scratch, we can also design and install a range of products and accessories to perfectly compliment the look and layout of your kitchen. All trades arranged by us, including plumbers, electricians and plasterers. Accountable- today’s complex projects have many moving parts that require coordination, scheduling and detailed understanding. We are fully accountable for your project and we only subcontract for very specific or specialist services to achieve the best possible result for our clients. Value- we offer manufacturer direct pricing so there is no middle man and we can also deliver significant cost savings because we complete both manufacturing and installation process. Community-minded- supporting young Australians with apprenticeships for over 15 years and furthering careers of young carpenters and joiners. Experience- Whether you are removing walls, or creating an open floor plan, our professional designers and experienced team can take on your project from planning to completion and you only deal with one capable and experienced company throughout the project. Strong Partnerships- we have long standing alliances with all the best brands including Laminex Industries, Blum, Wilson and Bradley, Formica, Essastone, Nover and Caesarstone to name a few. Solid Reputation- for over 15 years Kitchen Creations has been operating continuously as an family owned and operated business. Quality Guarantee - We are more than happy to guarantee our workmanship for 2 years after completion of your new kitchen and pass a manufacturing guarantee for 5 years on furniture and 2 years on Mechanical parts. Our showrooms in Dubbo provides the opportunity to view the latest finishes and designs plus get first-hand project advice and inspiration.